Remarkable response, no other speaker like it in the world!! 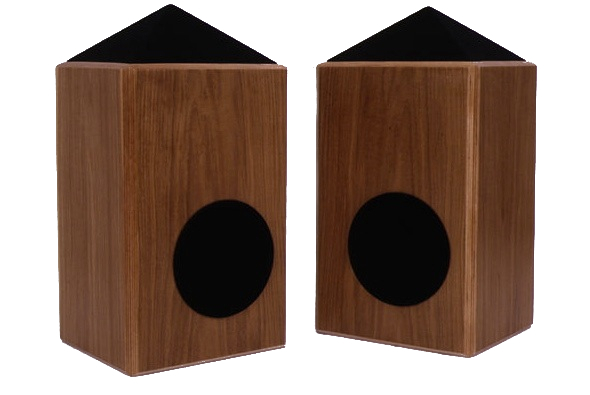 New revision Obelisk 2 now in stock. Major upgrade in performance. 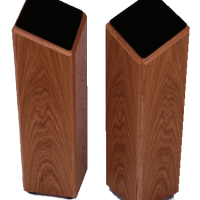 The Obelisk is the first loudspeaker designed and produced by Shahinian in 1977. 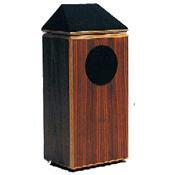 At that time its shape and acoustical disposition was considered radical. Today it is positively conservative compared to what has come and gone. It was a kind of a “first”, but its durability over the years is not due to novelty as much as its absolute performing superiority. It has been revised several times as new exciting technology and devices have appeared. Today’s Obelisk could not have been built in 1977. 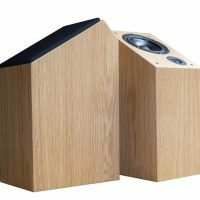 It is still the only genuine poly/omnidirectional loudspeaker on the market. 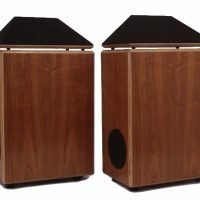 If you want to hear the sound of real, live, natural music in your home then the Obelisk is unmatched … except by the Hawk & Diapason! The timbre, dynamics and sheer 3-dimensional scale of the music will astound. 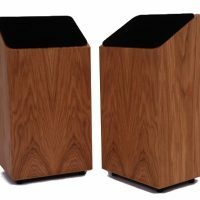 Available in light/natural oak and American walnut. Price shown is for a pair of Obelisks.